Lock in a great price for Red Admiral - rated 8.3 by recent guests. Friendly ,warm and very welcoming. Very clean and excellent value. Enjoyable stay and Gaynor really made us feel welcome. Clean comfortable bedrooms. The hosts, who also run the pub downstairs are very friendly and welcoming. If I were to travel back up this way again, I would definitely return. We liked the building, the place had a very homely feel and the location was absolutely perfect to use as a base to do some sight seeing. Food was very good landlord and landlady are so friendly and helpful exceptionally clean throughout, bed was very comfortable. We highly recommend the Red Admiral. The breakfast was excellent. A great full English, toast and tea as well. Extremely accomodating considering we had 2 small children, a 5 year old and a 1 year old. The locality was quiet, the grounds were clean and spacious but most importantly, they were safe for the children to roam and play. Great value for the price. 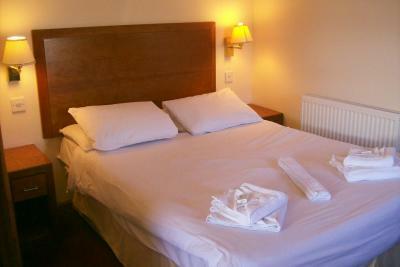 Rooms were cosy and the beds were very comfortable and clean. 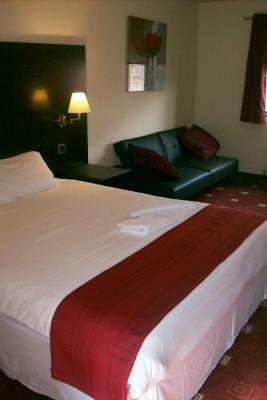 The room was good for its price with clean and comfortable beds, a mini fridge and tv. Great for storing lunches and a weekend stay if you want to use the room for sleeping as you explore the lakes, rather than a hotel to stay in. The staff were welcoming and pleasant when spoken to and booking in and out was quick and painless. 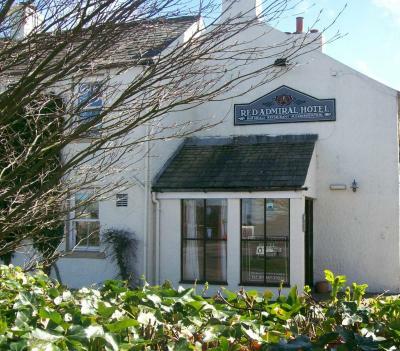 Offering free WiFi, Red Admiral is situated in Seascale. The property has a bar, as well as a restaurant serving British cuisine. Certain rooms are fitted with a kitchenette with a microwave and a toaster. A continental or Full English/Irish breakfast can be enjoyed at the property. You can play darts at the hotel. Windermere is 28 miles from Red Admiral, while Keswick is 37.3 miles from the property. The nearest airport is Newcastle Airport, 105 miles from the accommodation. Red Admiral has been welcoming Booking.com guests since 16 Oct 2017. When would you like to stay at Red Admiral? House rules Red Admiral takes special requests - add in the next step! Red Admiral accepts these cards and reserves the right to temporarily hold an amount prior to arrival. Check-in times are strictly between 16:00 and 21:00. Check-ins after 23:00 without prior arrangement will not be possible, and guests will be charged. Please note, breakfast and dinner meals can only be provided with prior reservations via the Special Requests box at the time of booking. Please inform Red Admiral in advance of your expected arrival time. You can use the Special Requests box when booking, or contact the property directly with the contact details provided in your confirmation. The walls (of my bedroom at least) pretty thin, so perhaps consider earplugs. The shared bathroom and the shower room was very dated with a hole in the wall. There was no food available for b&b guests and the pub was closed due to a function. The room was situated in an annexe which was situated nearly next to the marquee and we were kept up until nearly 1pm with extremely loud music and drunken guests near our bedroom window. This is not acceptable. We were treated like second class citizens. The ensuite bathroom had a cracked sink, broken toilet seat and cobwebs everywhere. The light over the mirror and the extractor fan did not work. All in all a complete disappointment, will not be returning to this guest house. The bathroom floor was squishy. The single bed had no bed head. Behind the furniture and under the beds was dusty and had cobwebs. 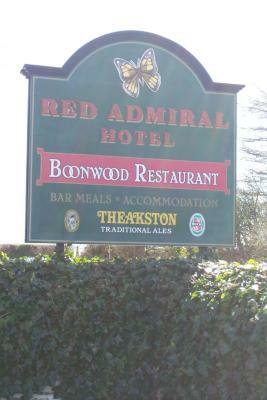 The owner was delightful, breakfast was brilliant and dexpite tbe dusty edges edges of the room the linen was excellent. I can’t say we didn’t like anything however the possibility of extra toilet facilities would be very beneficial. The rooms were clean and bed very comfortable. Booked this stay months prior and chose this place because of the pub/food availability. On arrival was told if we would like food then we would have to eat at 6pm but wasn't sure if she could do this due to other bookings locally and there was an Italian a few miles down the road if we would rather eat later than that. Was informed her husband was away. Having travelled for 7 hours from South Wales the last thing we wanted to. So. Was go back out in car to find a restaurant and also then not being able to have a glass of wine due to driving. We went down at 6pm to a completely empty pub/restaurant, ordered food which arrived and was delicious. Locals started to arrive around 7pm and we were not offered dessert. Went to ask could. We please. Order desserts and was asked if we were in any rush for these. Honestly felt so unwelcome as if we were putting her out. She kept reiterating to others that husband was away and I understand this would have added pressure but to make us feel so unwelcome really spoilt our experience. We didn't bother with breakfast next morning which was a shame as we had another long journey ahead. The bath was unclean, which being a communal bath I understand is to be expected, the door locknl was nailed on, the shower was small and roadworks outside the room made it hard to sleep (beyond the Inns control, but I feel it necessary to include for those visiting shortly).